Imagine Missoula and Big Sky Brewing Company have announced the inaugural All Souls Art Contest in correlation with the release of the 2015 edition of All Souls Ale. 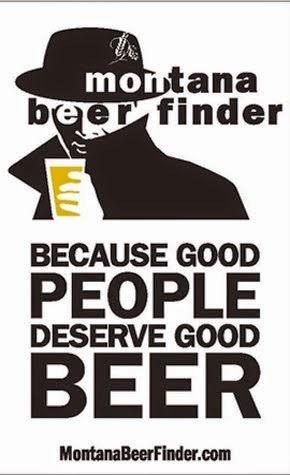 This annual beer release has served to raise monies for Imagine Missoula, a Missoula-based non-profit that does so many good things for their community they can’t be listed here, so check out their website! 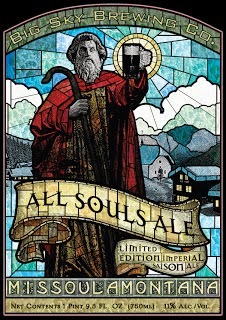 All Souls Ale has been incarnated around every holiday season/winter, and it has taken a few different forms, from Imperial Saison to Belgium Trippel. Each bottle is hand-filled and numbered by volunteers, and the release party is always a hoot. Artwork should embody the values and mission of Imagine Missoula. If you aren't sure who we are, you might want to read this; if you aren't sure what we do, you may want to check this out; and if you need a little help with what we value, click here. Brewery Name: Big Sky Brewing Co. Artwork should be no larger than 18" x 24" and can be any media format that is scan-able (i.e. flat). Digital files are encouraged. Winning artist will receive sweet prizes, a membership to the ZACC and recognition for their work on the back label and on Imagine Missoula's website. There will also be prizes awarded to the first and second runners-up. 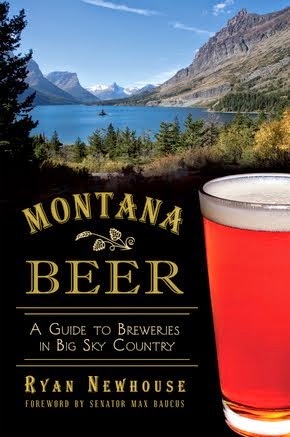 The winning design will become the sole property of Big Sky Brewing, Co. All rights reserved. 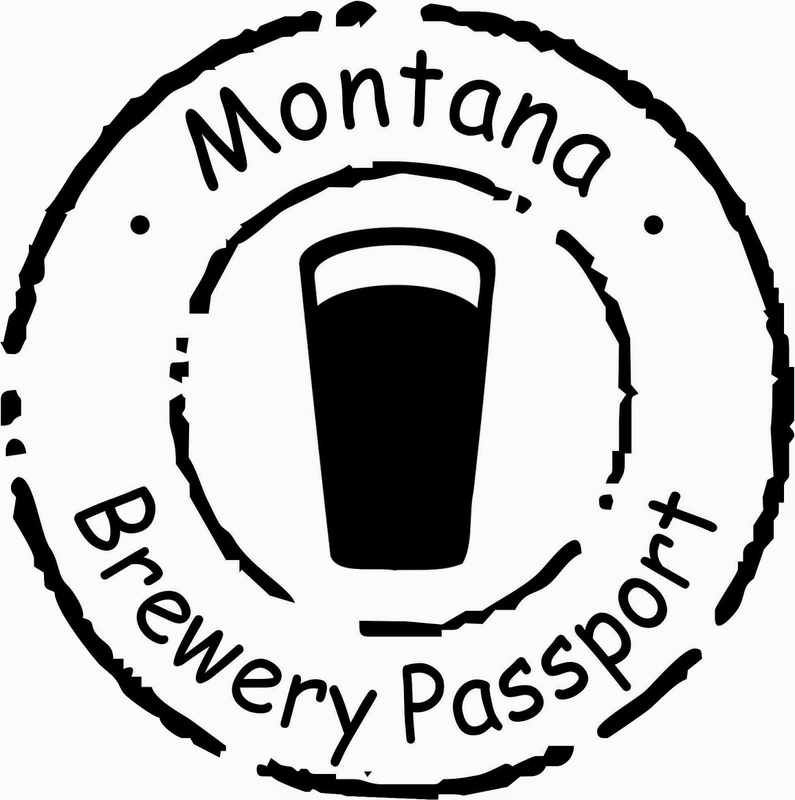 ALL submitted artwork will be retained by Imagine Missoula & Big Sky Brewing, Co.
All submissions must be received by December 1, 2014 in order to be considered. We encourage you to submit entries electronically. 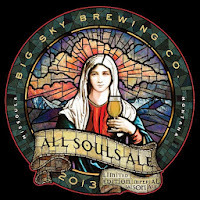 Please email your artwork to: imaginemissoula@gmail.com, Attn; All Souls Ale Art Contest. Keep emailed files under 8MB. Submissions must be in a standard file format (tif, jpg, ai, eps, pdf). 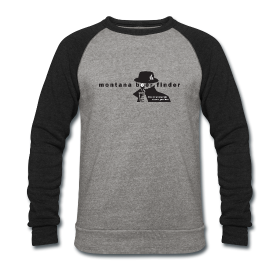 Winner will be notified no later than December 11, 2014. Need a little inspiration? 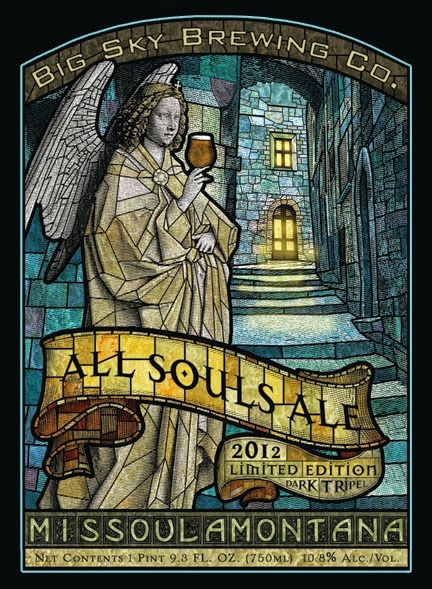 Here are the previous labels for All Souls Ale.